Many of you will be aware that this week I am dedicating the content of my blog to raising awareness for Cervical Cancer. 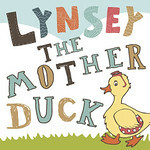 Blog posts on Lynsey The Mother Duck for this week aim to encourage women to have a cervical screening; to share experiences of women that have been touched by Cervical Cancer; to promote the facts (information from Cancer Research UK) about Cervical Cancer. As I have gone about collecting information for this week, I have been amazed, stunned and saddened by the amount of people who have contacted me with gestures and words of support because they have had a personal experience, be it themselves or a loved one of this disease. I say the same thing to them all. If just one women gets herself screened - that perhaps would not have done - it will all be worth it. Please read the posts of the women who have been brave to share very personal experiences and feel the emotion for them that I did. Read the information about signs to look out for and make yourself aware. Cervical Cancer can be detected early by that one quick screening. Will you be that one women that makes our week?